Last Saturday, the P.S. 76 Tigers headed north to Cold Spring, NY to visit the Haldane Blue Devils for a clinic, BBQ, and to watch their rivalry game against Putnam Valley. The Haldane high school players were incredible hosts, even staying on the field for an extra house after the game to play with the kids. A huge thanks to Peter Ruggiero, Coach Eddie Crowe, and the Haldane Varsity Lacrosse team for organizing such a fantastic day of lacrosse and friendship. Go Blue Devils! 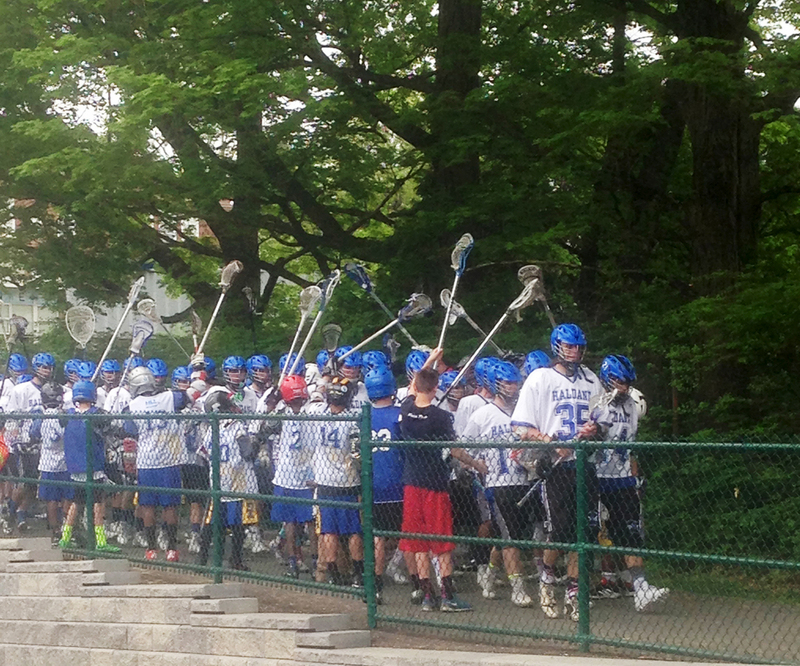 To read more about the growing partnership between Haldane Lacrosse and HLL, please check out this story from the Putnam County News and Recorder about the trip!